Experience a full day touring the beautiful Speyside region of Scotland for a group of up to six guests. 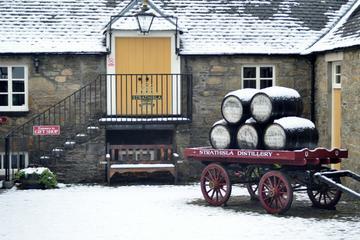 Visit a selection of Scotch Whisky distilleries with an expert guide. Derek Hancock worked in the Scotch Whisky industry for over 40 years, and is a “Keeper of the Quaich” an honor given to those who have made a significant contribution to the promotion of Scotch Whisky.